Threats surround the nest. They are looking for you. But the children must feed. Make your way through an industrial park filled with suspicious monster chasers in your quest to find food (nuclear waste) to bring back to your children. Be careful not to get caught, yellow alert will bring the cops, and they have guns. Red alert brings the G-men, and they have even bigger guns. 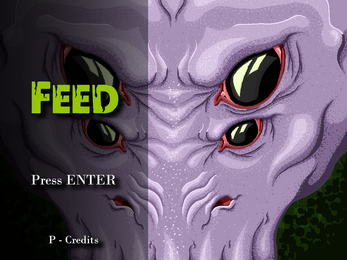 An alien/monster movie themed retro stealth game, made by a 4 man team in 24 hours.